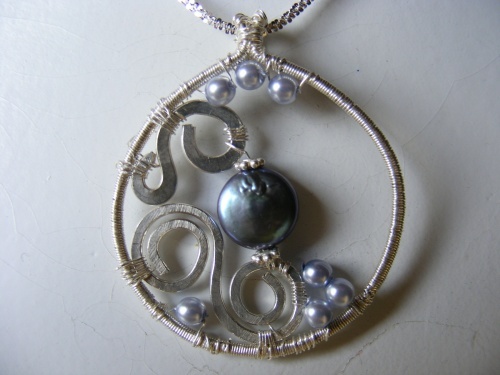 This circular pendant has a pretty coin pearl in the center enhanced with pretty little purple blue pearls making a colorful display. This piece is unique in design and lightweight to wear. Comes on an 18" chain.